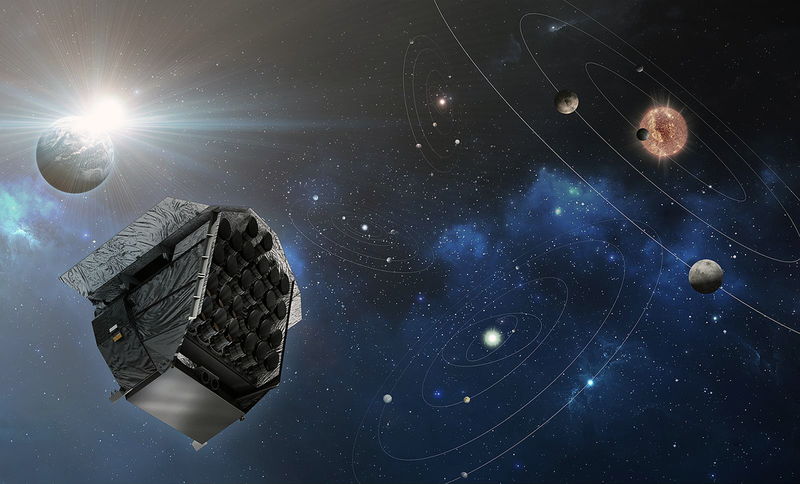 PLAnetary Transits and Oscillations of stars (PLATO) is the name of the third M(edium) class mission in ESA's Cosmic Vision program, which involves observing exoplanets — OHB System AG has been selected by ESA as the industrial Pime to negotiate the implementation of the satellite. The PLATO scientific research mission of the European Space Agency (ESA) is to be launched in 2026. PLATO is a satellite-based observatory for use in space to detect and conduct research into exoplanets1 orbiting in other solar systems. As the prime contractor, OHB will be able to rely on an existing industrial core team comprising Thales Alenia Space (France and UK) and RUAG Space Switzerland to design and develop the satellite. The contract is valued at around 297 million euros. The negotiations between ESA and OHB are expected for mid-June, upon which the contract will be signed. OHB is ESA’s Prime choice for the PLATO scientific research satellite. Artistic rendition of PLATO is courtesy of OHB. The contract with ESA covers the delivery of the satellite including the necessary pre-launch testing and support by OHB staff during the launch campaign and the start-up phase in orbit. The contract will expire with the completion of in-orbit verification to confirm the satellite’s full performance capabilities. Over the last few years, teams at OHB have completed two preparatory studies for the PLATO mission. Under an ESA study, OHB worked closely on the development of the satellite design for the PLATO mission. The integration of the optical payload, which is being supplied by a Germany-led payload consortium, was the subject of a study completed by OHB for the German Aerospace Center (DLR). DLR had already selected OHB System AG for the execution of this project, as it is seen as a specialist in optical systems and has made a good name for itself in scientific research. The OHB teams can now directly integrate the findings of the two studies in the execution phase of the PLATO satellite. CEO Marco Fuchs said that the company is grateful to the responsible people at ESA for selecting OHB's proposal for the PLATO scientific research satellite and for trusting the firm's expertise and project management capabilities. For the first time, the company will be responsible for developing and assembling a scientific satellite for ESA — such an achievement allows us to add a further important chapter in OHB System AG’s success story. At the same time, the company will be supported by the outstanding members of the industrial core team with whom we have been working for years in other areas, in a spirit of mutual trust. PLATO is to explore the basic questions scientists are looking for answers to: How do planets arise? How do they change over time? Is our solar system unique? What characteristics do Earth-like planets have in the habitable zone of stars? In addition, PLATO will indirectly be seeking answers to the age-old question as to whether life exists in other solar systems. Andrea Sacchetti, head of project PLATO, said that they will not only be detecting extrasolar planetary systems, but also conducting research into them. 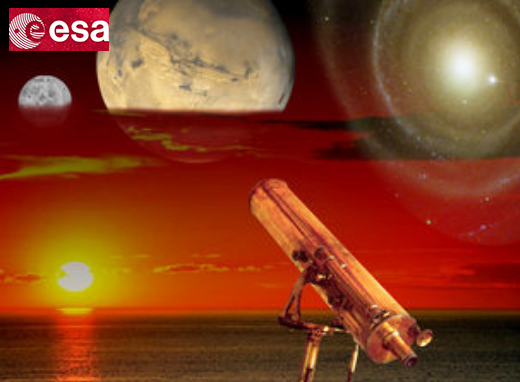 The main focus will be on exploring the properties of planets in the habitable zone around sun-like stars. In addition, PLATO will be measuring seismic activities inside stars to characterize more precisely the star in question and to determine its age. She then explained how the satellite will be able to render distant exoplanets visible and said that once PLATO has reached its target orbit around Lagrange Point 22, the payload consisting of a total of 26 cameras, will be aligned with stars against the dark backdrop of space. The cameras will be able to detect very small and regular light losses, which occur when planets fly in front of the stars and briefly hide part of the starlight. Operating at a distance of 1.5 million kilometers from the Earth, this powerful two ton satellite the size of a small truck will literally be “discovering new worlds.” Antonio Garcia, the technical manager for the PLATO satellite, explained that this ambitious mission is designed to take exo-planetary science a large step forward. In order to achieve the required quality of the scientific observations, the company defined the challenging performance requirements for the satellite design — for example, the alignment and pointing stability of the optical instrument. Extremely precise, long-term and uninterrupted photometric observations of bright stars in the visible range needs to be achieved. This is the way of discovering exoplanets as well as the means to characterize their composition and bulk properties, for determining the potential habitability. Core team partner Thales Alenia Space, France, is responsible for avionics, i.e., the on-board handling of data as well as satellite positioning and orbit control. Thales Alenia Space UK will be integrating and testing the satellite platform. The other core team partner, RUAG Space Switzerland, will be designing and assembling the optical bench, which forms the “basis” for the integration of the 26 high precision cameras, which are being developed and assembled by DLR and a consortium of various European research centers and institutes. This work will be carried out by the OHB experts at the “OHB-Space Center Optics & Science” in Oberpfaffenhofen near Munich in a special ISO Class 5 clean room. 1Planets are objects that are subject to the gravitational pull of a star and thus orbit it. Exoplanets or extrasolar planets are located outside our solar system and are thus not subject to the sun’s gravitational pull. 2The satellite maintains its orientation in this orbit relative to the sun and the Earth. The solar panels facing the sun generate the necessary energy. The normally three-month observation period is followed by a pivoting maneuver, which protects the payload from direct sunlight.